The answer from an early 20th-century farmer transported to a farm today would likely be yes. There has been dramatic innovation in agriculture over the last century, but the basic equation has remained largely the same: drop a seed in soil, add water and sun, and harvest. Soon, though, the answer will change, as we are on the verge of what could be a historic transformation in food production. Advances in hydroponics—growing food using nutrient-rich, water-based solutions instead of soil—are paving the way for a potential landscape of food skyscrapers. Innovation in cellular agriculture supposes a future where animal products like meat, milk and eggs are grown in labs, not fields. And cyber agriculture is helping us replace traditional ag research with food computers that can see how a plant responds to varying climates in a highly controlled environment. *Hydroponics grown by WFP at a refugee camp in Algeria. This transformational innovation is taking place because we’ve started to ask bigger, out-of-the-box questions – questions like: Do we need soil to grow food? Can we produce meat without a living, breathing animal? What if we grow vertically instead of horizontally? And these questions are beginning to find the dollars needed to answer them. Agtech startups attracted almost $17 billion in investments in 2018 – a 43 percent increase over the year prior. This is happening, in part, because it needs to. You’ve probably heard the proverb, “necessity is the mother of invention.” What’s lesser known is that this saying was popularized by the European economist Ester Boserup during debates around global food supply. Boserup’s theories of agricultural intensification (i.e. that humans would inevitably innovate their way out of food shortages) countered those of Thomas Malthus who, a century prior, speculated that population growth would outstrip food production with devastating consequences. So far, humans have staved off Malthus’ doomsday prophecy through some good, old-fashioned Boserupian innovation. But today, we are facing another pivotal moment in this war of ideas, one where environmental sustainability has taken an increasingly central role. New reports constantly cite the inevitable consequences of climate change, biodiversity loss and severe land degradation on global food production. 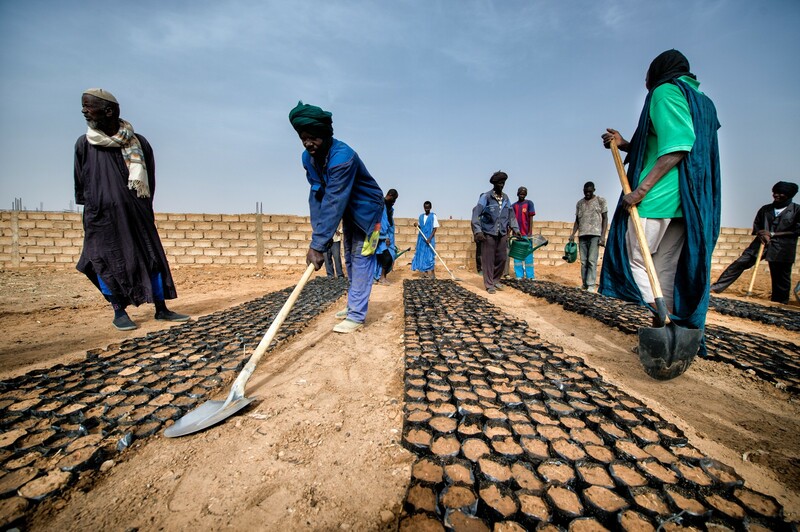 *Farmers tend to arid land in Mauritania. Soil health has been especially concerning to scientists and food producers. The United Nations Food and Agriculture Organization (FAO) estimates that 75 billion tons of top soil is lost each year. If you were to load that into standard 10-ton dump trucks and line them up bumper-to-bumper, they would circle the planet 1,000 times every single year. We produce about 4 billion tons of food each year. Do some quick math and you’ll find that for every ton of food we produce on the planet, 18 tons of topsoil are simultaneously lost due to deforestation, improper water management and other degrading practices. Soil is a precious resource that we know so little about it, except that it’s disappearing. With 821 million people around the world going to bed hungry each day and 113 million in need of lifesaving food assistance, it’s clear that innovation and ag-tech disruption to increase food production and reduce our environmental footprint needs to be applied not only to commercial farming in the U.S. and Europe, but across the globe too. Three years ago, the World Food Programme (WFP) launched Innovation Accelerator, a program to help food security startups test and scale innovative ideas that could reduce the need for humanitarian assistance by building resilience among the communities WFP serves. The Accelerator offers idea generation boot camps, programs to help startups prove their idea’s feasibility, and funds to help them scale — all combined with WFP’s decades of experience. 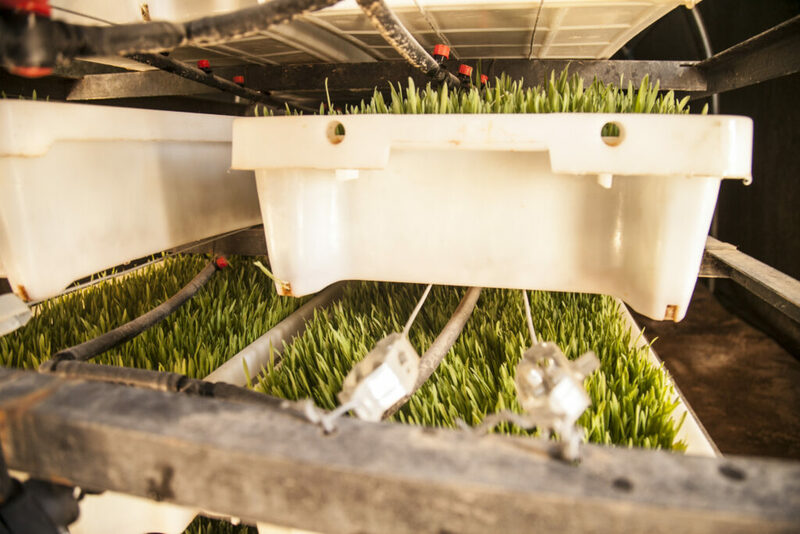 The innovative companies coming out of the Accelerator are developing concepts familiar to broader ag-tech developments: food computers to test crop varieties and help communities select the best ones for their climate; hydroponic systems to help herders grow livestock feed in desert-like conditions; and blockchain technology to improve transparency and reduce costs across WFP’s supply chain. 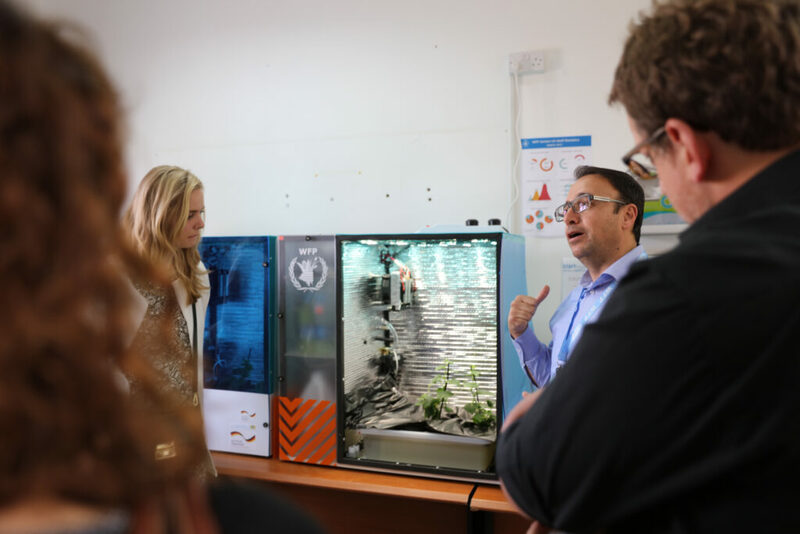 *A WFP staff member demonstrates a food computer in Jordan. Many innovations today are being driven by technology—but innovation and technology are not necessarily synonymous. 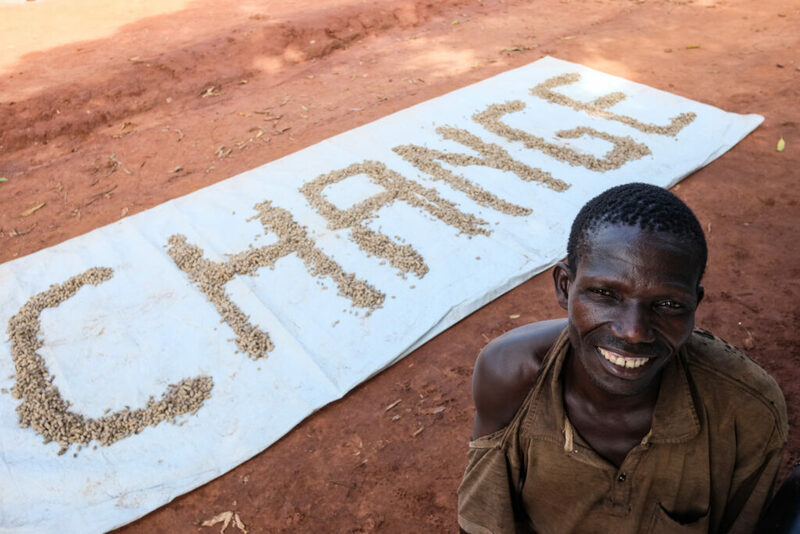 The future of food could be about doing things differently rather than just doing them “high-tech.” WFP, for example, is helping communities across sub-Saharan Africa adopt hermetic storage devices (e.g., bags and silos) to dramatically reduce post-harvest loss. Silos that keep grain dry and safe from pests is a technology that’s existed for more than a century. Today, WFP is simply making it accessible to African farmers and helping them bring down post-harvest losses from 40 percent to around two percent. 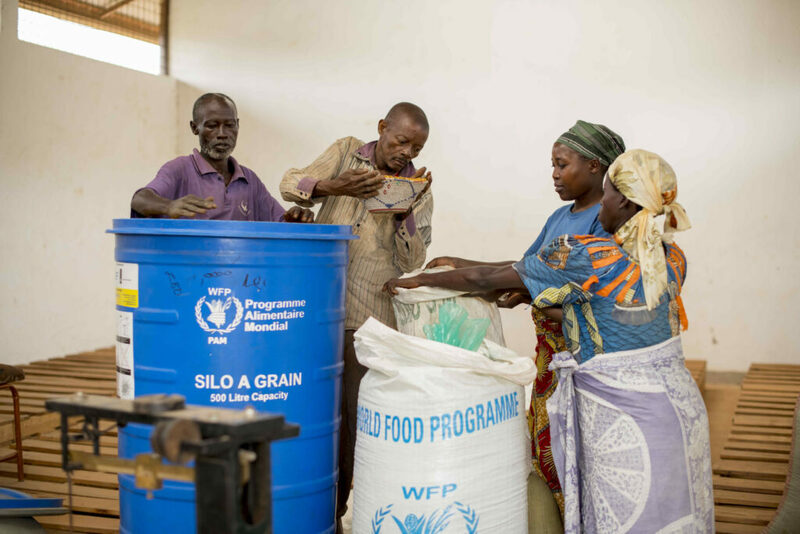 *Small-scale farmers in Burundi using WFP grain silos for food storage. As we continue to ask the bigger questions and come to terms with agriculture’s environmental impact in the face of climate change, land degradation, biodiversity loss and other trends, we are slowly but surely responding to need by inventing a future of food that will be unrecognizable to us today – a future where agriculture nourishes the planet and people, and where hunger is a problem of the past.